Little Miss HISTORY is proud and happy to announce that three books in her book series have won recognition in the 2018 International Reader’s Favorite Book Award Contest. 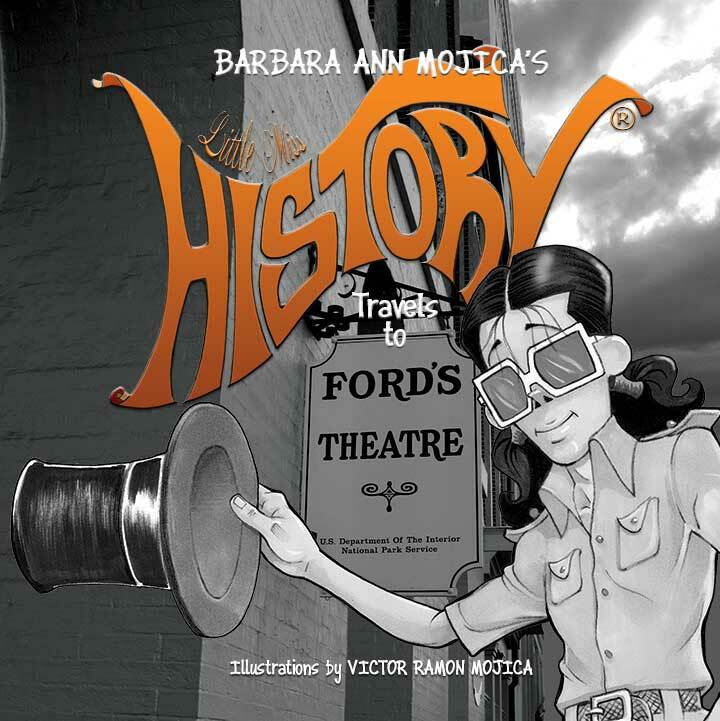 Little Miss HISTORY Travels to FORD’S THEATER won a GOLD MEDAL in the Children’s Nonfiction category. 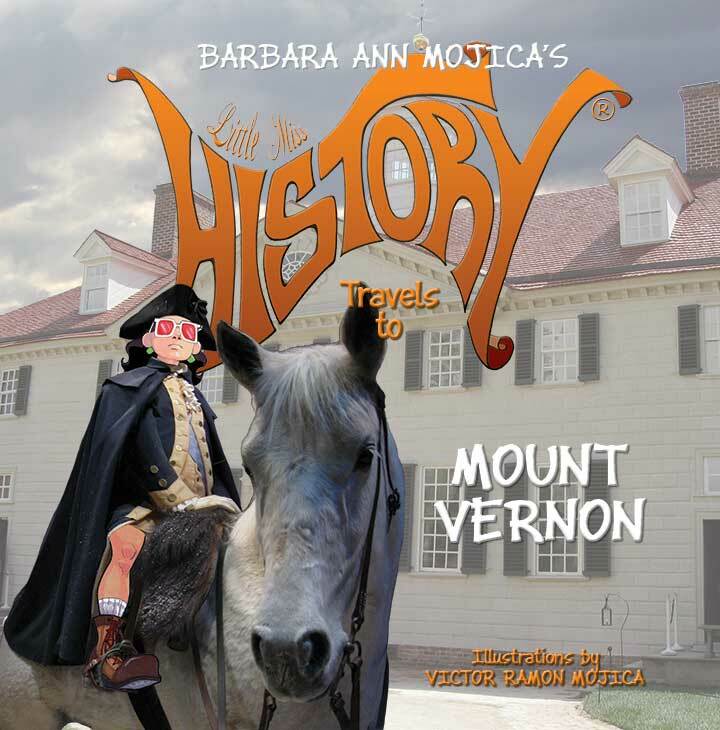 Little Miss HISTORY Travels to MOUNT VERNON received a SILVER MEDAL in Children’s Educational Books. Little Miss HISTORY Travels to LA BREA TAR PITS & MUSEUM placed as a FINALIST in Children’s Books for 4th through 6th Grade. The awards will be presented during the Miami Book Fair International Book Fair on November 17. 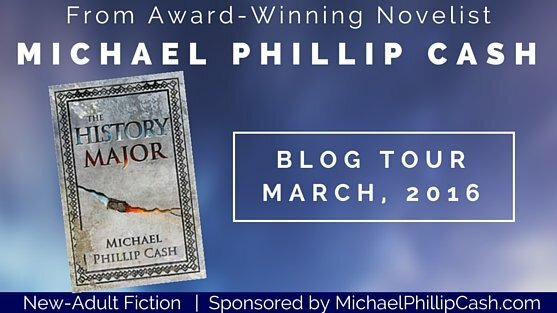 If you are looking for a good read in your favorite genres, may I suggest that you check out all the winning titles? This is a well-written chapter book or novella with an intriguing set of characters, flights of fancy, and wonderful lessons to learn. The three main characters are a dragon named Farloft, a dastardly wizard named Laval, and a ten-year-old human named James. A plague has recently struck the kingdom. About two-thirds of the population have succumbed. 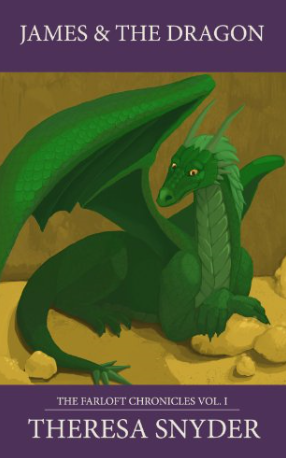 Farloft avoids humans because relations have soured over time. Laval is bitter because the plague has made his daughter ill. James has been orphaned. One day as he struggles to dig peat in the bogs to keep warm, the blacksmith and his son steal it from him. James becomes trapped in the bog; Farloft takes pity and rescues him. As James recovers in the dragon’s lair, they become close. Farloft regales him with legends of past exploits and reveals his treasure chamber. When James returns home, villagers nearly kill him. Farloft rescues him once more. In the meantime, Laval has hatched a devastating plot to exact revenge for his daughter’s death. A surprise ending brings book one to a conclusion and sets the stage for more adventures. Middle grade, young adult readers, and adults will enjoy this fast-moving story with its pleasing blend of magic, myth, and charm. Characters are well developed and easy to like. By the end of the first book, readers have already become engaged and are eager to learn more about the characters and what will happen to them in their future engagements. 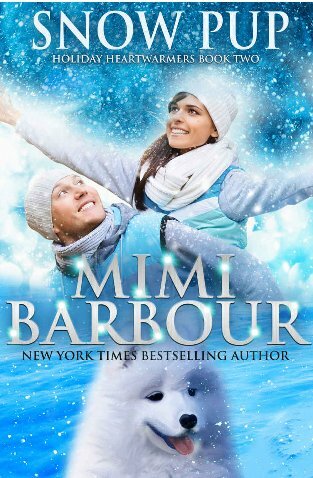 This is the second book in Barbour’s holiday series. Well-written plot with realistic characters that has no real connection to the Christmas holiday other than the setting. Deputy Shawna Mallory is a thirty-one year old single cop who lives in the rather sleepy town of Carlton Grove. She has a deep commitment to her job, and moves quickly when she hears an amber alert on the radio for a missing eleven year old boy. Mallory hears a dog barking; she finds the boy under a snow drift being guarded by the pup. The sheriff agrees to take the boy in while he awaits a new foster care family. Complications arise when the boy’s real father arrives back on the scene from an overseas assignment in Chile. John Reid McCrae appears to have a poor parenting track record, but Shawna’s friend Alice knew him many years ago and offers a different opinion. In the meantime Shawna grows attached to Billy, who is about to be given to a new foster family. Billy runs away once again, but even more puzzling is the strange affect Billy’s dad has upon Shawna. What outcome ensues for Billy, John, and the Deputy Sheriff whose lives have become entangled. 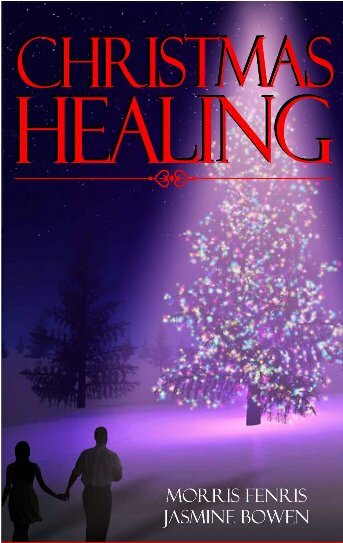 A heartwarming story revolving around coming of age, domestic violence, foster care, romance, pets and peer relationships that will tear at the heart strings of young adult and adult readers. 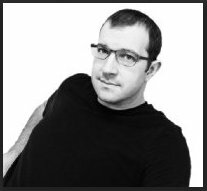 Actually, the book could be a middle grade read if one is willing to look past a few curse words and one or two light romantic scenes. Snow Pup is the kind of story that will put the reader in the mood for the holiday season. A bittersweet holiday novella that combines elements of paranormal, horror and romance within a holiday setting. Eighteen year old Annalise led a carefree life as a pretty, popular teen until she was diagnosed with leukemia. Unable to pay her mounting medical bills, she assumes the unusual post of teaching modern technology and cultural customs to a family of vampires. Dr. Hever, the head of the Hever clan becomes her physician. Her life is turned upside down once more when she is summoned by the King of the Vampires to teach his brother Arthur, who has just awakened from a 1000 year sleep. Annalise is terrified. She slowly falls in love with Arthur, but her illness proceeds rapidly to Stage IV cancer. When she is whisked away to the hospital, both she and Arthur are devastated. The plot sounds far fetched, but the authors succeed in making it palatable, for the most part. Reader’s emotions rise and fall as the conflict tears the two families apart. Annalise thought she was in love with Tony Hever; her fleeting life has been turned upside down by her deep feelings for Arthur. The ending is a surprise. Wonder what will happen in the second book of the series. Recommended for young adult and adult audiences looking for an unusual but entertaining short holiday read. DISOBEDIENCE IS A SLIPPERY SLOPE…. I struggled to decide what rating to give this middle grade novella; I decided to go with four stars because the writing is appropriate for its intended audience. The dialogue is on point for thirteen year old Hudson and his friends. Lots of adjectives and onomatopoeia to keep the story interesting as well as those illustrations of the tree troll. Hudson is a typical teen; he loves to play video games and test the limits with his parents’ rules. Hudson gets grounded when he comes home late because he took a short cut and trespassed on Mr. Gilbert’s property nearly falling off the bridge in the process. Of course that wasn’t the whole story, Mr. Gilbert had called his parents catching Hudson in a lie. Hudson doesn’t take long to decide to sneak out and join his friends for their camp out. 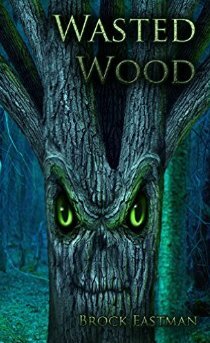 Orin, the neighborhood bully and his friends, come across Hudson with his friends in the woods. They dare them to trespass on Mr. Gilbert’s property to prove that they are not afraid of the legend that a Tree Troll exists. When they take the dare; the real adventure begins. Soon the Dark Demon appears. Is the legend real? All the teens including the bullies must struggle to survive. What will happen to the boys? Will their parents and Mr. Gilbert find out? Lots of adventure, danger, paranormal and coming of age issues combine to make the novella appealing to the middle grade audience. Despite the fact that there is lots of passive voice and the writing style could be sharper, this is a tale well worth reading for the eight to twelve year old target audience. The author has developed a set of discussion questions for each chapter, which makes the book a good choice for a classroom read aloud and discussion. I received a copy of this book in return for an honest non-biased review. Hung over college student Amanda Greene wakes up in her dorm to an unsettling situation. She vaguely remembers a fight the night before with her boyfriend, Patrick, and partying with her two best girlfriends who don’t like him. But her room is at once familiar and strangely different; her roommate is someone she has never met. Finding her classroom schedule on the bed, Amanda is distressed to see a history class on it; Amanda hates history. She rushes to the Registrar building to drop the class, but the administrators tell her she must take the course. Amanda walks through the campus, which seems oddly different. Buildings appear and disappear, and she has the feeling of being stalked. What is real, what is fantasy, and how will Amanda deal with integrating both within her present life? Elements of a thriller, paranormal, history and a psychological study combine to make this novella a compelling read. The first couple of chapters confused me, and I definitely disliked Amanda. As I got into the plot, I could not stop reading. Lots of interesting dialogue and colorful language engage the reader. 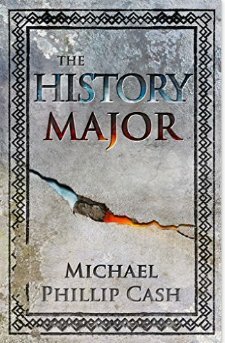 Plenty of twists and turns keep the reader on edge; the ending caught me off guard. Recommended for teen and adult audiences as a thought provoking afternoon read. If you enjoyed reading this review, please subscribe by clicking on the word Follow or by hitting the orange RSS FEED button in the right hand corner of this post. 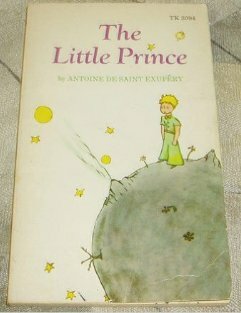 I first read this book as a college student in the original French, Le Petit Prince. Widely translated into 250 languages, the book has traveled around the globe like its protagonist. You might ask why this is my favorite’s children’s book as I did not read it as a child. My answer is that I love the wonder in the prince’s eyes and the wisdom that comes from his mouth. I read the book in the original 1943 edition, which unfortunately is no longer widely available. Woods’ translation is smooth and the watercolors beautifully done. Some critics are not as happy with recent editions. The plot is at once complicated and simple. A pilot who has crash landed in the Sahara desert meets a young prince who has fallen to Earth from an asteroid. The little prince muses about his wanderings throughout the galaxy and his philosophy on the universe. On a deeper level, the novella is an allegory pondering the human condition. Our little prince expresses his dismay about grown-ups. “Grown-ups never seem to understand anything by themselves, and it is tiresome for children to be always and forever explaining things to them.” Out of the mouths of babes, one might say. The author first flew an airplane at the age of twelve. 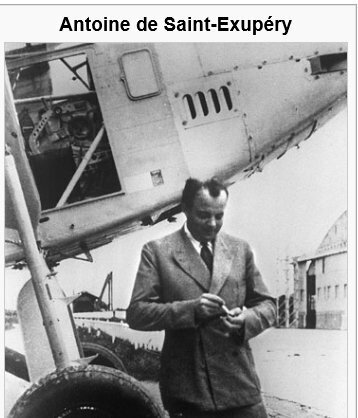 Born at the turn of the century in 1900, Antoine actually did crash into the Sahara desert in 1935, while attempting to break an aviation speed record flying from Paris to Saigon. He fled to the United States during World War II, but went back to join the Free French Air Force. He disappeared while flying a mission over the Mediterranean on July 31, 1944. Antoine became a national French hero, highly respected as an aviator and writer. I would recommend this book to children and their parents. It can be enjoyed on so many age levels, and the embedded layers of meaning enrich young and old minds regardless of age. Fantastic as a read aloud and group discussion. This is one book that cannot be read too many times. If you enjoyed reading this post, please subscribe by clicking on the word Follow or by hitting the orange RSS FEED button in the right hand corner of this post.